Drivers in Glendale Heights and Bloomingdale thinking about buying a big vehicle to get work done, you may have started looking at the 2016 Chevrolet Tahoe and the 2016 Chevrolet Silverado 1500. Both of these vehicles deliver outstanding performance and provide tremendous versatility for hauling. However, as full-size SUVs and full-size pickup trucks, respectively, they offer quite distinct functionality. Take a moment to decide which vehicle will best suit your needs, and then make your way to Sunrise Chevrolet. The 2016 Chevrolet Tahoe comes with a single powertrain option—a 5.3L V8 engine that comes mated to a six-speed automatic transmission. It makes a robust 355 hp and 383 lb-ft of torque, which can be delivered to a rear-wheel drive or four-wheel drive system. Towing tops out at 8600 pounds, while fuel economy ratings come in at up to an EPA-estimated 23 mpg highway and 16 mpg city. There is a trio of powertrain options when you go with the 2016 Chevrolet Silverado 1500 full-size pickup. The base engine is a 4.3L V6 that makes 285 hp, 305 lb-ft of torque, and can tow up to 7600 pounds. The mid-level engine is the same 5.3L V8 engine as the Tahoe, but the Silverado can tow up to 11,000 pounds. The most powerful engine in the lineup is a 6.2L V8 that pumps out a staggering 420 hp and 460 lb-ft of torque, helping the Silverado earn a best-in-class towing capacity of 12,000 pounds. The most fuel-efficient version of the Silverado is the V6, which gets up to an EPA-estimated 24 mpg highway and 18 mpg city. The biggest difference between the two vehicles is design. 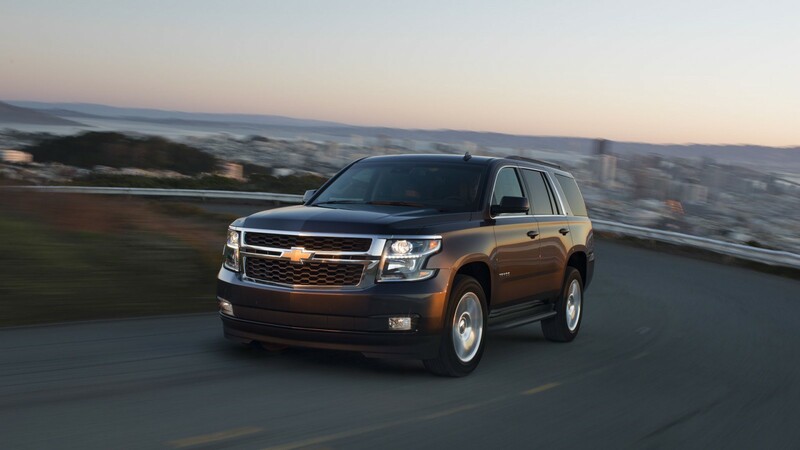 As a full-size SUV, the 2016 Chevrolet Tahoe is a traditional body-on-frame, truck-based SUV. 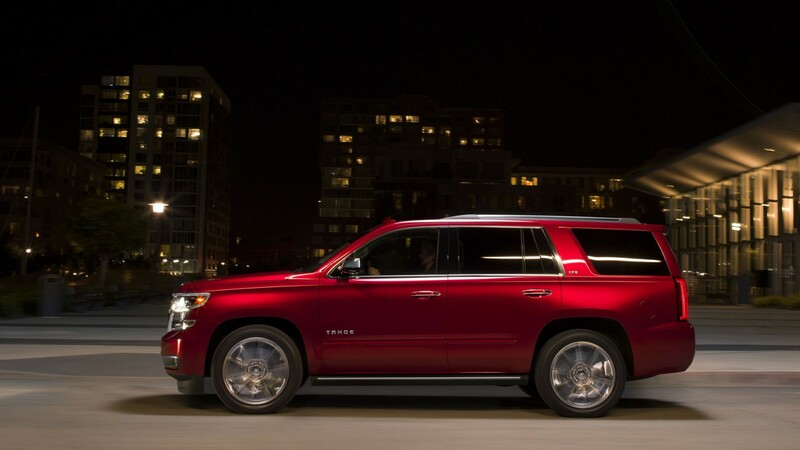 Every version of the Tahoe features three rows of seats, with the option of accommodating eight or nine passengers in total. Behind the last row, you’ll have 15.3 cubic feet of cargo space, while utilizing the second and third row passenger areas for cargo opens it up to a spacious 94.7 cubic feet. Functioning much differently than the Tahoe is the 2016 Chevrolet Silverado 1500, a full-size pickup in the traditional sense. The Silverado is available in three different cabin formats. The Regular Cab seats three passengers and doesn’t come with a rear seat. The Double Cab Double Cab and Crew Cab both have rear seats to open up seating for up to six passengers. The Crew Cab, however, also adds two swinging doors in back to provide easier entry for rear seat passengers. There are also three different bed sizes available—a regular box, standard box, and long box. As vehicles with distinct functions, it’s not surprising that they have very different price points, as well. 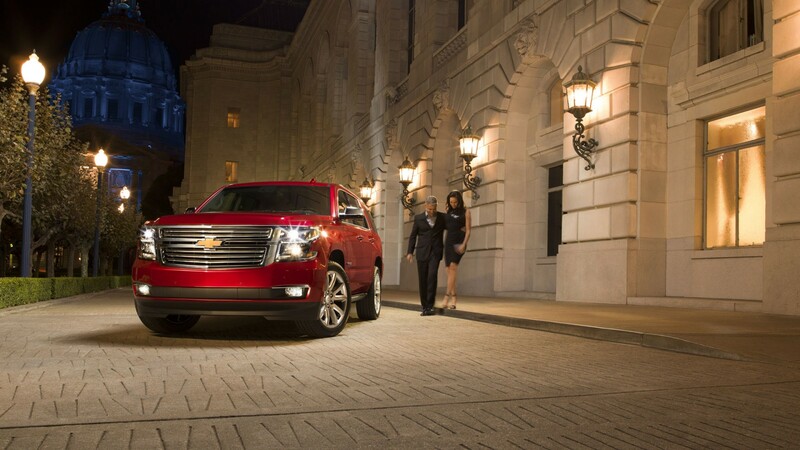 The 2016 Chevrolet Tahoe starts at an MSRP from $47,000, while a fully decked out model goes for $61,610 MSRP. On the other hand, a stripped down 2016 Chevrolet Silverado 1500 Work Truck goes for an MSRP from $26,895. If you step up to a fully loaded High Country Crew Cab, though, you’re looking at an MSRP from $53,115. When considering between these large, commanding Chevrolet vehicles, it’s important to determine how you will be using the vehicle in day-to-day life. 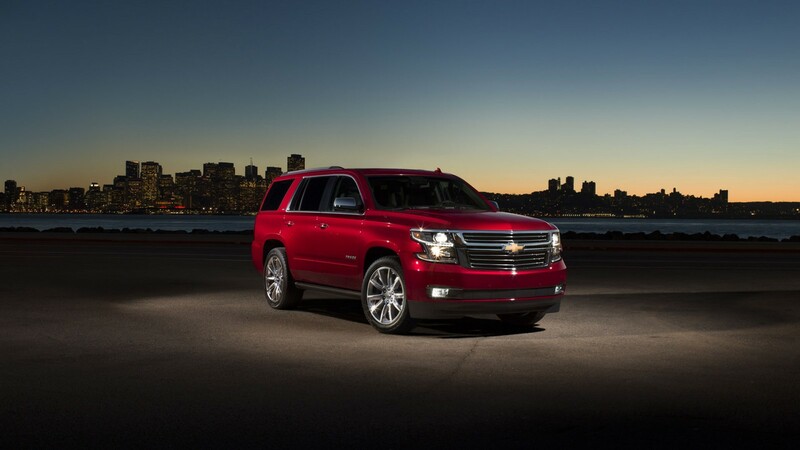 The 2016 Chevrolet Tahoe is a good choice for large families who need significant passenger and cargo space and who also want available four-wheel drive and a raised body-on-frame chassis. A basic 2016 Chevrolet Silverado 1500 is a top pick for drivers who need a pickup able to handle big payloads on a daily basis. Higher trim levels of the Silverado also come with loads of creature comforts, so if you want an honest-to-goodness pickup truck, you might consider an upper level LTZ Z71 or High Country Crew Cab. Get Behind the Wheel of Both Models at Sunrise Chevrolet! It’s time to make the drive from anywhere in the Bloomingdale area to 414 North Ave. in Glendale Heights, IL to check out the 2016 Chevrolet Silverado 1500 and the 2016 Chevrolet Tahoe. Feel free to contact us to set up a test drive!